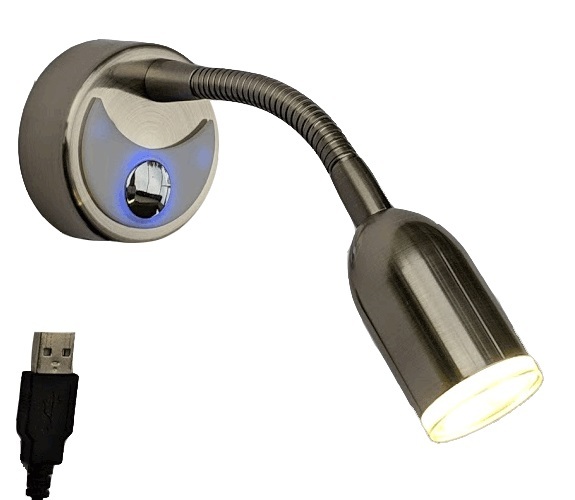 USB LED Reading Light with Flexible Metal Neck and Night Light. Satin Nickel Finish with Acrylic Lens Cover for even light. Soft touch switch. 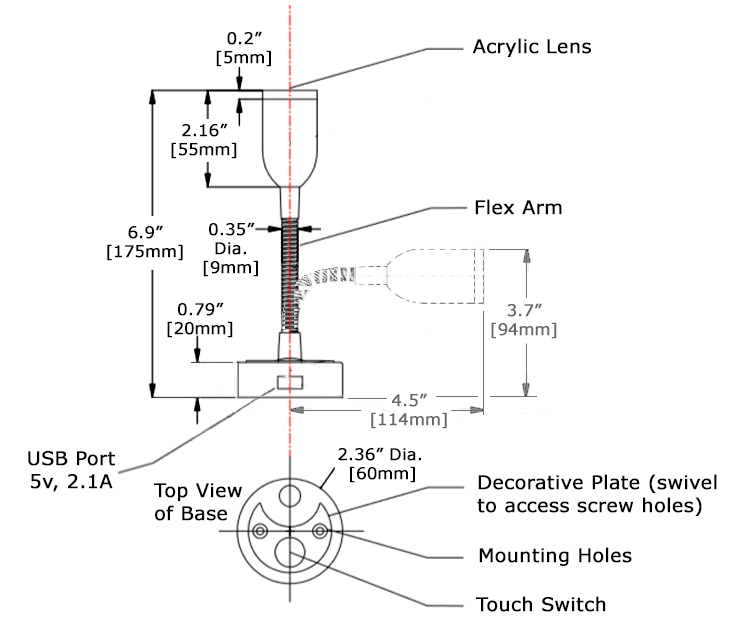 Surface mount light. Multi-directional focus flex neck. Decorative cover hides mounting hardware (included). Warm white LED. Fixture operates with soft touch - touch once and night light turns on, touch again and reading light turns on (in addition to night light), touch again and both lights turn off.